The Rescuers Down Under is often seen as the ‘forgotten’ film of the Disney Renaissance. Released in between fan favorites The Little Mermaid and Beauty and the Beast, The Rescuers Down Under had the unfortunate honor of being the bridge from one beloved classic to another. While The Rescuers Down Under does have some merits to boast, its status of being in the shadow of its predecessor and successor isn’t entirely unfair. In the end, it’s just not as memorable as Disney’s other offerings of the time. The Rescuers Down Under does have the distinction of being the first ‘true’ Disney sequel, and one of the select few sequels that are considered part of Disney’s official canon of animated films, being a sequel to the 1977 film The Rescuers. At the time of Down Under’s production, The Rescuers was the last hit Disney had made, so a sequel was seen as a means to get the studio back on track. Little did they know that The Little Mermaid – which was in production at the same time as Down Under – would be the movie that revitalized the Disney brand. The Rescuers Down Under ended up being an honest effort, but a misdirected one. 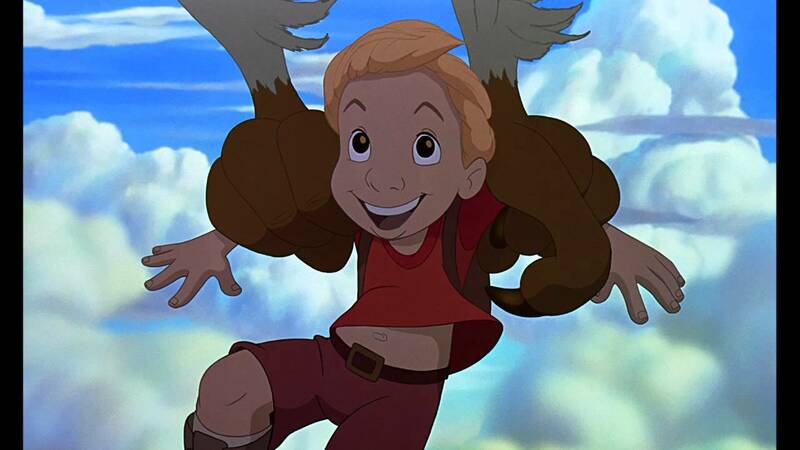 The story revolves around an Australian boy named Cody, who befriends a rare golden eagle named Marahute, after saving the bird from a poacher’s trap. Said poacher, who goes by the name McLeach, then kidnaps the boy as to find out the eagle’s whereabouts. The animals of the outback then send a message to the Rescue Aid Society (the organization of international mice from the first film), who recruit returning heroes Bernard (Bob Newhart) and Miss Bianca (Eva Gabor) for the rescue mission to save Cody. Along the way, Bernard continuously tries to work up the courage to propose to Miss Bianca. It’s a simple enough setup, but the stories never quite mesh together. The Rescuers themselves aren’t even introduced until after a good chunk of the movie has passed, and when they do show up, they don’t seem nearly as important as Cody or any of his animal friends. It almost feels like the Rescuers were shoehorned into an entirely different movie, forcing an otherwise unrelated film to become a sequel. Just the same, the storylines involving the Rescuers seem underdeveloped as they get lost to the bigger story. Bernard and Bianca’s relationship never gets the attention it needs. A kangaroo mouse named Jake even joins the duo in the outback, seemingly setting up a possible rival for Bernard over Bianca’s affections, but nothing really comes of it. 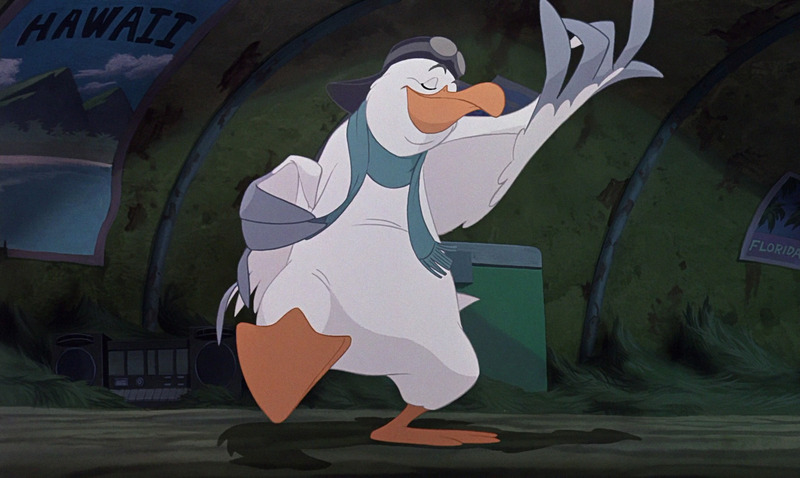 There is one charming sidekick character in Wilbur the Albatross (John Candy), who serves as the Rescuers’ transport to Australia, but he gets stuck in an unnecessary subplot involving a back injury that only serves to further distract the story. This is a shame, since a Disney character voiced by John Candy could have been gold if used properly. There are additional sidekicks with the various animals McLeach has kidnapped, who also try to help Cody escape, but they lack the humor and charm needed to make them memorable. This is echoed by the movie itself, as these animal characters seem forgotten by the plot as quickly as they’re introduced. Cody may not be the most memorable character either, but he’s capable enough to not detract from the film. 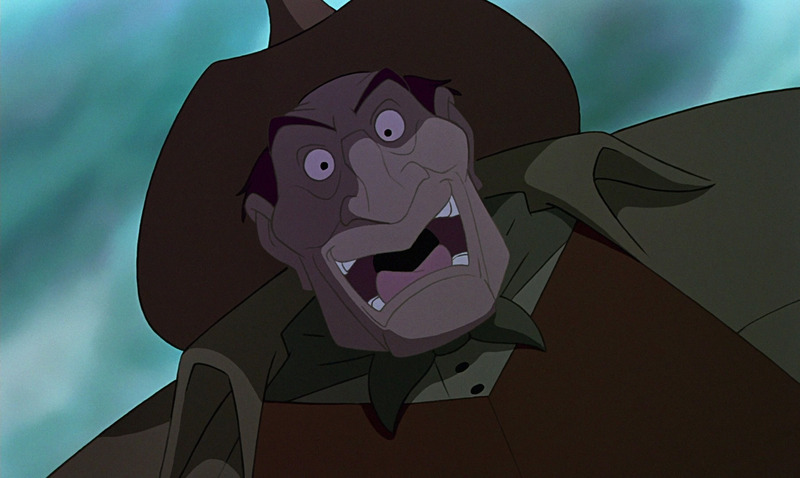 McLeach is also pretty forgettable, which is all the greater of an offense when you realize he’s one of the few Disney villains who can be described as such. Disney usually excels at creating villains you love to hate, but McLeach is the kind of mustache-twirler you boo solely on principle. He’s neither evil or entertaining enough to give him any real sense of presence. By now this all seems largely dismissive, but The Rescuers Down Under does have its qualities. The animation is a delight, boasting a richness in detail and motion that proudly displays Disney’s production values. The action sequences are also well executed, with the flying scenes with Cody and Marahute in particular holding up to those of today’s animated films, which always seem to be trying to ‘out-flying sequence’ each other. As a whole, The Rescuers Down Under is one of Disney’s lesser animated features, and certainly the weakest of the Disney Renaissance era. Its animation may be top notch, and its action scenes well paced, but its characters lack the endearing qualities we associate with the Disney brand, and its story is never quite sure what to do with itself. It includes bits and pieces of a sequel that are seemingly forcing themselves into another movie, which only hurts both of its halves. 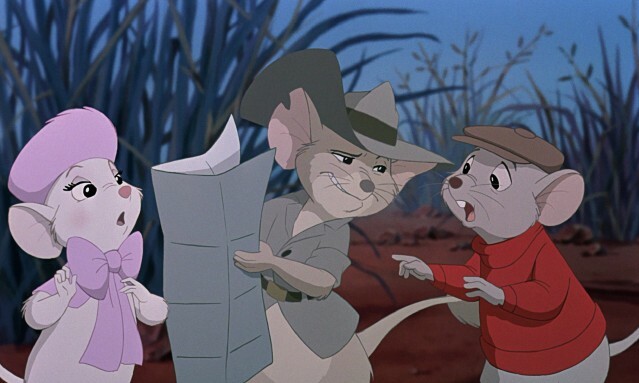 As a sequel to The Rescuers and as its own movie, The Rescuers Down Under is too unfocused to soar alongside Marahute. I love The Rescures, but Down Under is indeed lackluster. Disney was lucky The Little Mermaid rescued the studio before Down Under came out; the movie was just not good enough to carry the pressure of taking Burbank to its former glory.